Walt Disney World recently donated $100,000 to the American Red Cross Mid-Florida Region to support the organization's disaster relief services. This donation, which will be used immediately by the Red Cross to help families impacted by local disasters, is part of Disney's ongoing support of the Red Cross' Annual Disaster Giving Program. The program supports emergency and disaster preparedness around the country. "We're proud to support the efforts of the American Red Cross which has a long history of helping people in need," said Nancy Gidusko, director of community relations at Walt Disney World Resort. 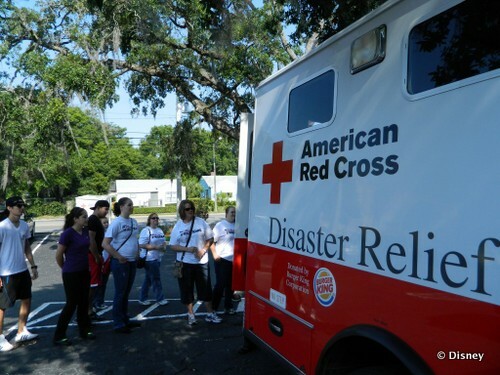 "By making this financial investment along with the support of our Red Cross-trained Disney VoluntEARS, we hope that our community is even more prepared to provide comfort during a natural disaster." 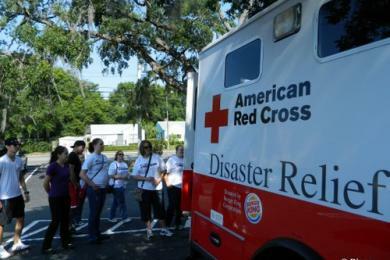 Disney has been a supporter of the American Red Cross as part of the VoluntEARS program, and this year nearly 100 Walt Disney World cast members have completed the organization's "Ready When the Time Comes" training which prepares volunteers to provide basic shelter and food service to victims of disasters. Earlier this summer, Disney donated $250,000 to support American Red Cross relief efforts for the Oklahoma tornadoes and the severe storms that affected states in the Midwest.